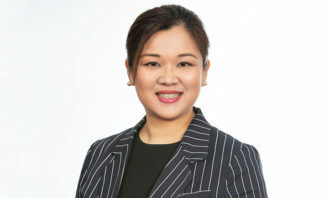 The human resources industry is Asia’s 4th top hiring industry, mainly due to to plentiful opportunities in Hong Kong, Singapore, and Kuala Lumpur where the HR sector is responsible for 13-14% of all available job opportunities. Conversely, in Tokyo and Mumbai, human resources vacancies make up around 4% of the total amount of openings, putting the industry toward the bottom of the hiring list. The findings are published in ExpatFinder’s Asia Job Opportunities Report and are the result of a survey compiling data from five Asian cities that are top destinations for globally mobile talent: Hong Kong, Singapore, Kuala Lumpur, Tokyo, and Mumbai. In Hong Kong, the finance sector leads the way with 27.3% of the city’s job openings. 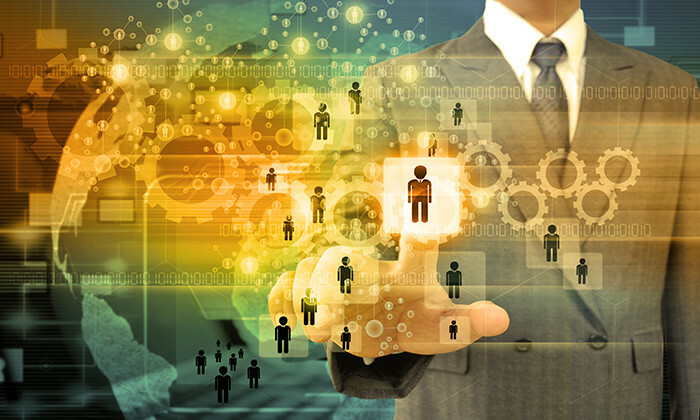 The sales & marketing, technology, and human resources industries are all responsible for around 13 to 14% of vacancies. The consultancy & management sector takes 5th place with 3.57% of all available jobs. 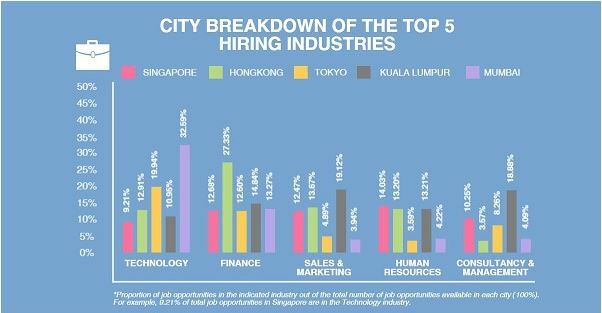 In Singapore and Kuala Lumpur, the available vacancies are more evenly spread out across the top 5 hiring industries, with each responsible for between 9% and 19% of the total. With regards to seniority level, in Hong Kong those looking for a mid-level position are best of, followed by entry level. Senior and top level professionals looking for new opportunities in the city have to make do with 12.80% of job openings. 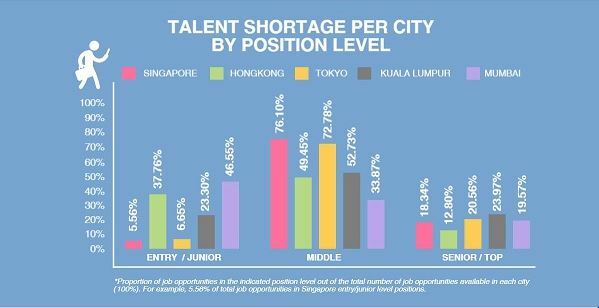 In Singapore, those new to the job market might struggle, with only 5.5% of all openings advertising for entry level jobs. At 76.10% mid-level opportunities are abundant. Kuala Lumpur displays a more even spread of opportunities across all three levels, with 23.30%, 52.73%, and 23.97% for entry, middle, and senior level opportunities, respectively. 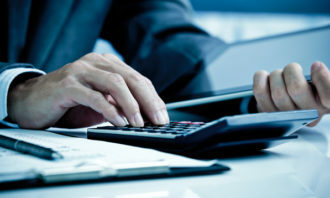 Commenting on the report in a press release, Sébastien Deschamps, CEO and founder of ExpatFinder.com, said: “It is unsurprising that in this economic climate of cost-cuts and geopolitical uncertainty over Brexit, the recent US elections, and the outcome of the Trans-Pacific Partnership hanging in the balance, employers are approaching their hiring plans for the new year with caution. 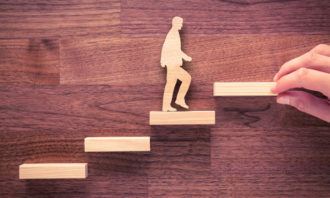 Traditional pyramid-shaped leadership development models seem to be failing, as 56% of firms report challenges in being led optima..